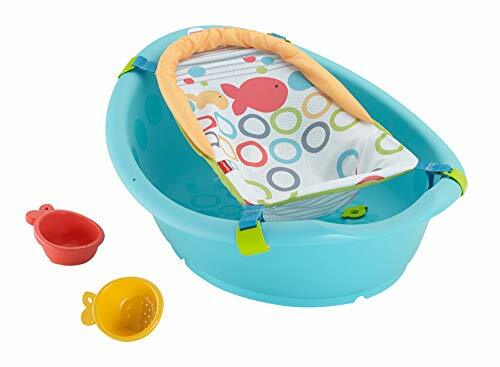 A grow-with-me baby bath sling and three stages of use make the Fisher-Price Rinse n Grow Tub the only tub you'll need for baby-all the way from newborn to toddler. In stage 1, the soft, machine-washable newborn tub sling comfortably cradles little ones at a gentle recline, in just the right amount of water. As baby grows and is ready for stage 2, the sling easily adjusts to provide the right amount of support for older babies to sit more upright, while still helping to prevent slipping and sliding in the tub. 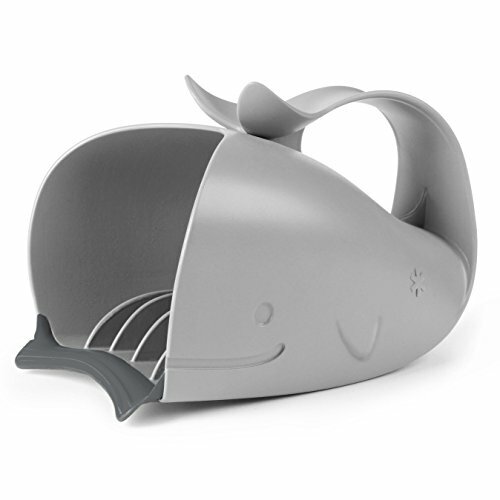 Two goldfish strainer cups are handy bath time tools for washing and rinsing (it's easy to reach around the sling to scoop water) and as baby grows, the cups make fun bath toys for water play, too. Remove the sling for stage 3 toddler tub time, so there's plenty of room for toddlers to sit up and play. Now the sling converts to a hanging mesh-pocket storage bag to dry and store tub toys. 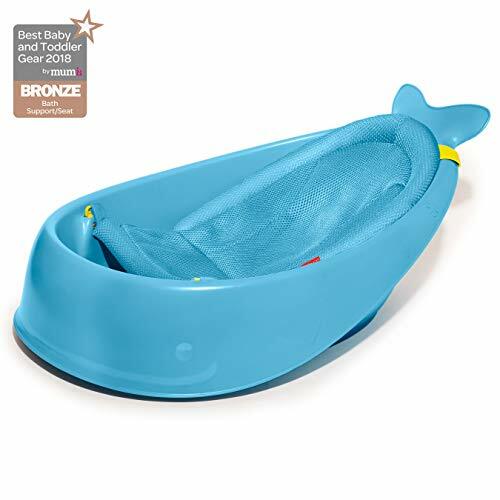 The Rinse n Grow Tub is just the right size and shape for baby at every stage, with a built-in pouring spout and a drain plug for quick and easy drain and dry. No need to fill and clean the full-size bathroom bath tub after every little bath.